The journey from Suvarnabhumi International Airport (the main airport in Bangkok) to Koh Phangan (location of the Full Moon Party) can be done in a variety of ways. You can fly via Surat Thani or Koh Samui. You can take a bus and ferry. You can also take a train and ferry. 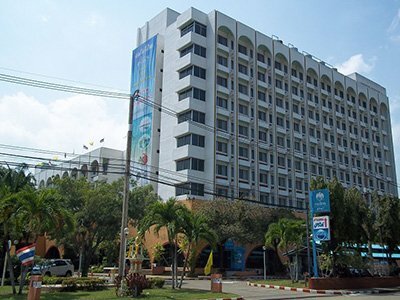 The train and ferry is the best option is you arriving on a long haul to Thailand. Most long haul flights from Europe to Thailand arrive in the late morning or afternoon. 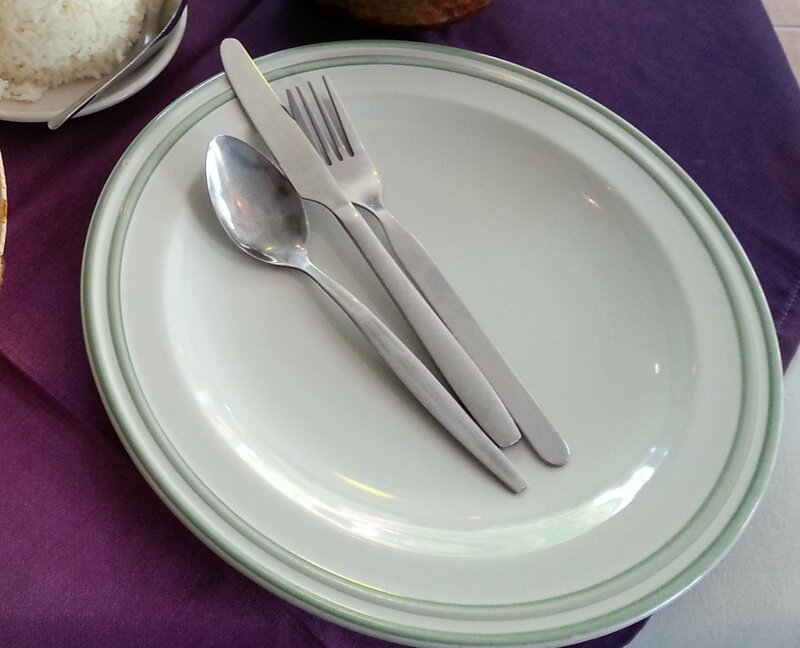 By booking a sleeper berth on an early evening train from Bangkok to Surat Thani you can arrive in Koh Phangan by ferry before noon the following day after your flight arrives in Thailand, having had a refreshing sleep on the train. The best way to describe how to complete the journey from Suvarnabhumi International Airport to Koh Phangan is to break it down into three steps. You can take a taxi, but actually during busy times of the day (particularly between 16.00 and 19.00) it is quicker and cheaper to take the Airport Link. The Airport Link leaves from the basement of the airport. Purchase a ticket at the kiosk by the gates to the Airport Link station. From the Airport you need to go to Makkasan station. A one way ticket from Airport to Makkasan station costs 35 THB and takes 30 minutes.At Makkasan exit the Airport Link station and follow the signs to Petchaburi MRT (metro) station. It is a 5 minute walk via a newly constructed passenger bridge from the Airport Link to the MRT metro station. The metro goes direct to Bangkok Train Station, the stop is called Hua Lamphong MRT station, which is where you catch the train to Surat Thani. The MRT fare is 30 THB. For more information see Train to Chiang Mai’s Guide to Transport to Bangkok Train Station. Your journey from Bangkok to Surat Thani is likely to be overnight and (especially after a long flight) you will want to book a sleeper berth. Use the Search Box below to buy your train tickets from Bangkok to Surat Thani. 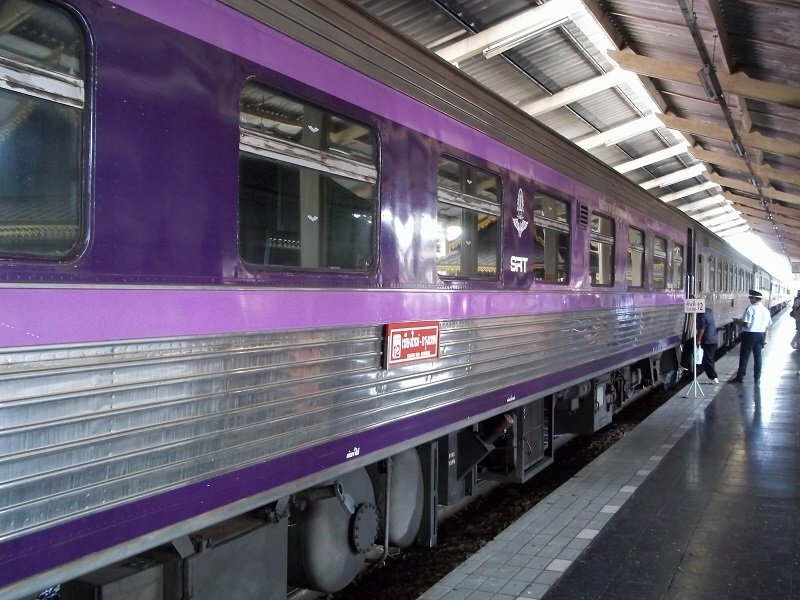 We recommend booking a sleeper berth on Train #85 departing at 19.30 and scheuled to arrive in Surat Thani at 07.06. This is one of the Special Express services with a restaurant car and 1st and 2nd class A/C sleeper berths. Booked online: 2nd Class A/C Sleeper tickets are cheap costing from 1,068 to 1,168 THB for the journey from Bangkok to Surat Thani. Buying Tickets at the Station: 1st and 2nd Class AC Sleeper tickets are this route are very popular and nearly always sell out before the day of travel. Booking in advance is advised. The whole journey to Koh Phangan can be completed by train in less than 20 hours from touching down at Bangkok International Airport if, and only if, you book train tickets for the journey from Bangkok to Surat Thani railway station in advance. You are very unlikely to be able to turn up and buy a ticket for a sleeper berth to travel on the same day. 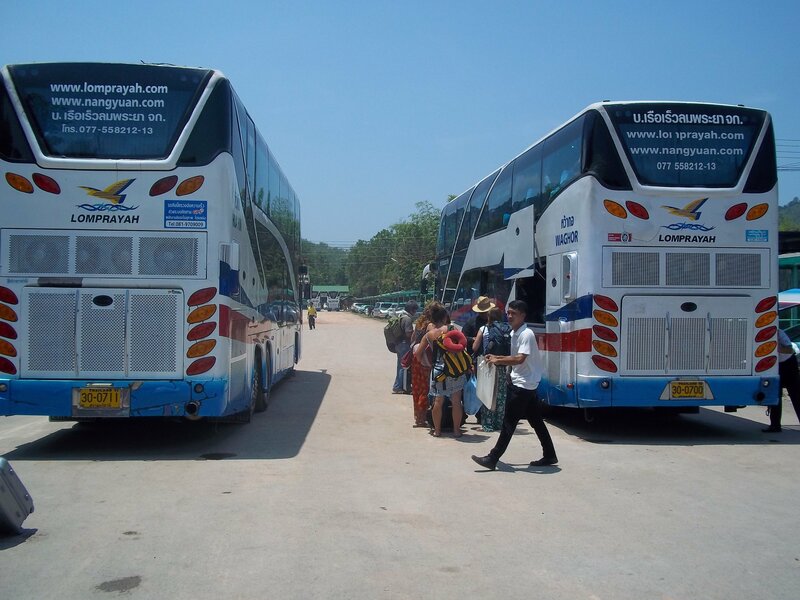 There are 4 direct services a day from Surat Thani railway station to Koh Phangan provided by the Lomprayah High Speed Ferry Company, Phantip Travel, Songserm and the Raja Ferry Company. All of these services depart from in the car park in front of Surat Thani railway station. The car park is to the left of the ticket hall as you exit the station. There is a row of small cafes facing the pick up point for the bus to the ferry port of Donsak where boats departs to Koh Phangan. Free WiFi is available to customers at these cafes.